The Speaker cannot act at his whims as regards conduct of Parliament in the discharge of his duties, former Deputy Speaker and Parliamentarian Chandima Weerakkody yesterday said and added incumbent Speaker Karu Jayasuriya is acting inconsistent with the Constitution. He said Speaker Karu Jayasuriya had taken a stance to suspend the standing orders of Parliament when it meets on November 14 to give an opportunity to pronounce the majority in Parliament in view of forming what would be a stable government. Jayasurya had said in a press communiqué, “after an unofficial meeting he had held with representatives of political parties at his office to decide on the November 14 agendum of convening Parliament”. Communiqué said,“The government‘s stance was that the General Secretary of Parliament would read the President’s summoning order on that day and the day’s proceeding will be concluded and the Parliament may be adjourned”. It said that other political parties had an ideology opposed to it, which was to have a vote to find majority to hold a form a stable government. Speaker Jayasuriya has said he listened to both sides and came to his own decision that he will take action in keeping with letter handed over to him by some 116 members of Parliament to provide an opportunity to pronounce the majority to form a stable government. “The Speaker cannot supersede the Constitution based on his ideologies. 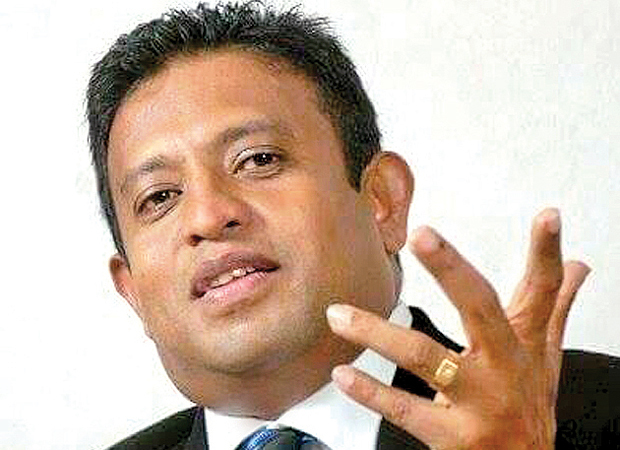 Neither can he act in a partisan way by displaying his bias against the President’s Constitutional prerogatives in this manner or any manner for it is the President, and him alone, who is empowered to summon, prorogue or dissolve Parliament under Sri Lanka’s Constitution,” Weerakkody said. “The Speaker must act in consistent with the Constitution and the Standing Orders of Parliament,” he said. Asked what he has to say about political stability and forming a stable government, he said such a government has already been formed by the President by sacking the Prime Minister.